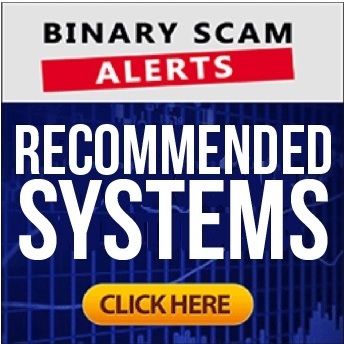 Binary Scam Alerts » Scam Reviews,Tesler App » Tesler App Review, Malicious Scam Exposed With Proof! 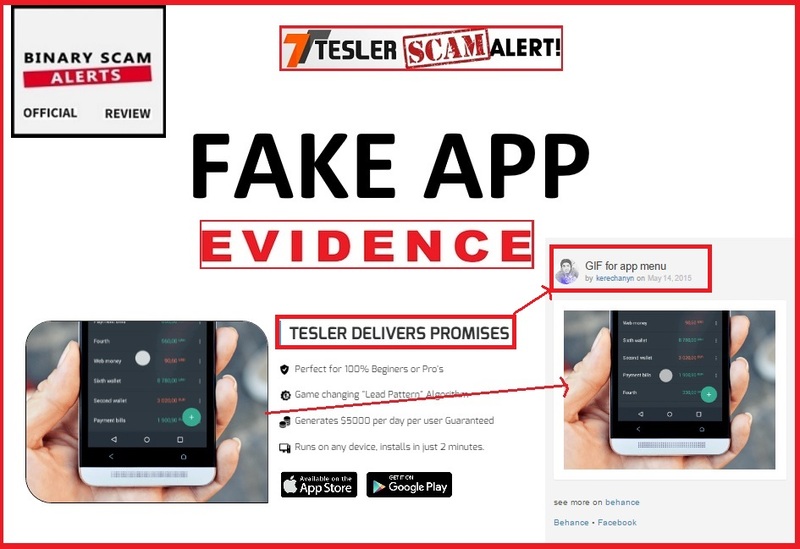 The Tesler App software by Steven Abrahams CEO of Tesler Investments (not to be confused with Tesla) is a SCAM, and we BLACKLISTED this fake app and trading robot in our fair and impartial review and investigation. First, we owe our members an apology. We now know this is the actor which starred in the Swarm Intelligence SCAM, only there he went by the alias of Dr. Steven Francis. We have revised our review and are now dealing with the various brokers who will also be blacklisted as a result of their actions. On a more somber note, it has come to our attention that this new auto-trader is directly responsible for wiping out hundreds of bank accounts belonging to innocent day-traders wanting to make a few bucks trading binary options online. So, if you believe this system to be legit or genuine you are deeply mistaken, and will pay the ultimate price of having your money stolen by thieving affiliate marketers operating in cahoots with slimy offshore brokers. If you have been deceived, mislead, and fooled into depositing with this software do not re-invest under any circumstances. Secondly, don’t sign anything, and finally, don’t click on any links from any SPAM email communication. We have it from trusted sources that these cyber-crooks are sending out thousands of emails which are programmed to infect your computer or device with spyware. In short, this piece of trash code is designed with pure malice and the deliberate intent of defrauding and victimizing innocent day-traders. Keep reading to see how we exposed these con artists and why the Tesler App is a confirmed financial SCAM. Quick Update 2019: We are getting reports about withdrawals getting declined. Please don’t divulge your credit card information. We have posted a separate post about the Tesler App officially documenting all the complaints we received from traders (and there are many). We have also been notified that Tesler is now being integrated with unlicensed Forex and CFD brokers. Victims are being lured primarily through various pop-under advertisement campaigns, as well as native ads. Native ads are the ads which appear at the bottom of articles, usually in a square box format which is clickable. Below you will see a screenshot of Abrahams (Alias) saying he would like to “give you $1,000,000 for doing almost next to nothing.” Right next to him you will see the same actor making false claims in regards to the Swarm Intelligence app. If you need more proof here it is. This band of rogue affiliate marketers is using an image which can be obtained freely online, and trying to make it look like it is their software. If you want to see for yourself go ahead. This fake app has nothing to do with their software and bears no resemblance to it at all. Your time has come to join the secret millionaire’s club! That’s right, Steven Abrahams is knocking on people’s doors and making them millionaires at the click of a button. As the sales video continues he moves on to his office and says that he helps “every day normal folks” make life-changing money in a matter of days. Your life is about to change forever, right now! He then goes on to talk about lead patterns and hyper responsive data speed and analysis of millions of market variables. He claims that this is what gives Tesler the leading edge over the market. He says Tesler is fresh, new, and 100% free, and he’s going to let you “test drive” it for the next 41 days. Abrahams, (AKA Mr. Midas on Wall Street) claims his company charges a 0.5% commission fee for money which is cashed out, and that’s how they make their money. After that we get into the testimonial section of the presentation, and that’s when we hear how everyone is making good money with this system. He claims he was on Forbes, BBC, CNN and other syndicated news (couldn’t find him there), and now he wants to turn you into his next success story. He says he loves money and everything that comes with it. He claims he has given 50% of his income to needy children and charities around the world. He also says his investors would invest time not money, and then he goes on to mention Jane from Wisconsin who worked as a cleaner in McDonald’s, and talks about Matt the taxi driver from New York who was about to take early retirement due to knee injuries. Now they are both millionaires in less than 30 days. In reality we are dealing with the worst type of financial scam. It is deliberately designed to target the most susceptible type of customers, and it exploits all the known scam tactics such as hyped-up claims, inflated bank accounts, and fake testimonials (some from fiverr.com). We are witnessing a complete travesty and farce which will undoubtedly be the source of grief and misery for many would-be traders. Absolutely not! It’s going to cost you at least $250 to get access to this crummy software and that money will be charged to your credit card by unlicensed offshore brokers. The ones to avoid are the Free Money System, and Jarvis Formula. It’s true, we have seen a lot of fake reviews recently and this is because many seemingly legit website owners accept bribes in the form of commissions or just flat fees and write favorable reviews. Please do your due diligence properly and start asking the hard questions. If you are deliberating about which is right for you, it’s with good reason. Fortunately we have researched and selected the best and most consistent money-making machines. These have all passed our rigorous credibility tests and are proudly showcased in our recommended section. The Tesler App software by Steven Abrahams the actor and fake CEO of Tesler Investments is a BLACKLISTED affiliate SCAM. There facts and evidence have been provided for you, so you can make an informed decision about the legitimacy and accuracy levels of this trading robot. If you were tempted to deposit using this fraudulent system, don’t be surprised if you find unusually large and unapproved sums of money charged to your credit card. This is the classic scam tactics and very commonly practiced by thieving brokers that steal money. In short, stay away from this extremely deceptive and misleading app because it will steal your money and we will not be able to help you get it back. Don’t forget to join our Facebook Group and YouTube Channel and get informed.